Let us imagine a scenario: You get a new fridge. You know the exact figure – how much energy, in kilowatt-hours, the old refrigerator consumed each year. With the new one, you can save, say, 200 kilowatt-hours per year, but it costs a little more than the previous one. By simple mathematical calculations, you can find out the period after which you will begin to benefit from the seemingly more expensive refrigerator. Now imagine a similar scenario, but with a projection for the entire country. What if all of our municipal institutions, such as hospitals, schools and city executive committees, could become much more energy efficient than they are now? And most importantly, how can we use the experience of other countries in this direction? In late January, a seminar on the development of a legislative framework for Belarus for the improvement of energy services was held in Minsk. Experts from the Energy Charter came to Belarus, bringing with them the first drafts of such legislation for Belarus. If Belarus agrees, the parties will soon start working together to adapt the country’s laws. The seminar was attended by officials who work in the country's energy sector. Mikhail Malashenko, Director of the Department of Energy Efficiency of the Republic of Belarus, opened the event. EU4Energy project manager Bilyana Chobanova conducted the training and a number of experts from different countries also participated in the event, including Tamara Babayan (Armenia), Ihor Horovykh (Ukraine), Nikolae Zacharia (Republic of Moldova) and Miroslav Marada (Czech Republic). The seminar was organised in the framework of the EU4Energy Programme. This is a European Union (EU) programme that helps the EU’s Eastern partner countries, which include Belarus, to improve the quality of statistics and energy data management, strengthen the legislative and regulatory framework, and improve access to information in the energy sector. “The EU4Energy Programme has several components, including a regional one. It would be a great advantage for Belarus to improve relations with the European Union within the framework of the programme, to have a chance to exchange experience in the energy sector. Local experts will be able to see what mistakes to avoid by using other countries' experience. We offer the Energy Ministry and the Department of Energy Efficiency to apply Europe’s best energy practices. This is our main goal,” says Bilyana Chobanova, EU4Energy Project Manager at the Energy Charter Secretariat. 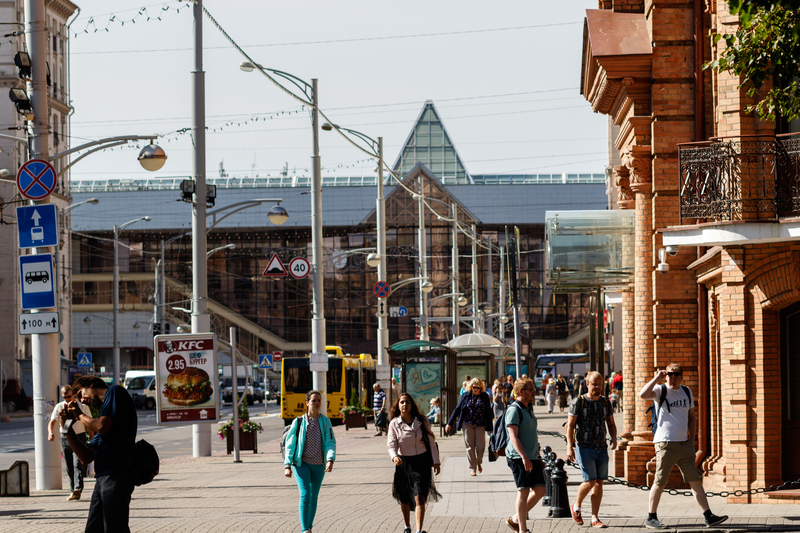 International experts believe that Belarus is ready to apply market principles in the energy sector, but conditions still need to be improved in order to do so. “There is great state control in Belarus so that there is competition in the electric power market, which does not correspond to the best European practices. There were many conversations with the Ministry of Energy officials, I hope that we have found specific solutions on how to implement the necessary reforms,” Bilyana says. So what problems did experts in Belarus encounter? First of all, there is the lack of legislation to regulate the activities of energy service companies (ESCOs). The Energy Charter and EU4Energy experts are ready to develop a legal framework for energy services. Subsidised energy prices for the population are another problem, as they reduce the attractiveness of energy saving measures. Experts suggest a gradual reduction in the level of subsidies and an increase in the level of energy efficiency in buildings instead. Another very important problem is the obvious lack of interest and motivation among energy consumers, which needs to be addressed by holding awareness raising campaigns for people and organisations. Should the scenario proposed to the Belarusian authorities be launched, it will take at least seven years to carry out all the reforms. 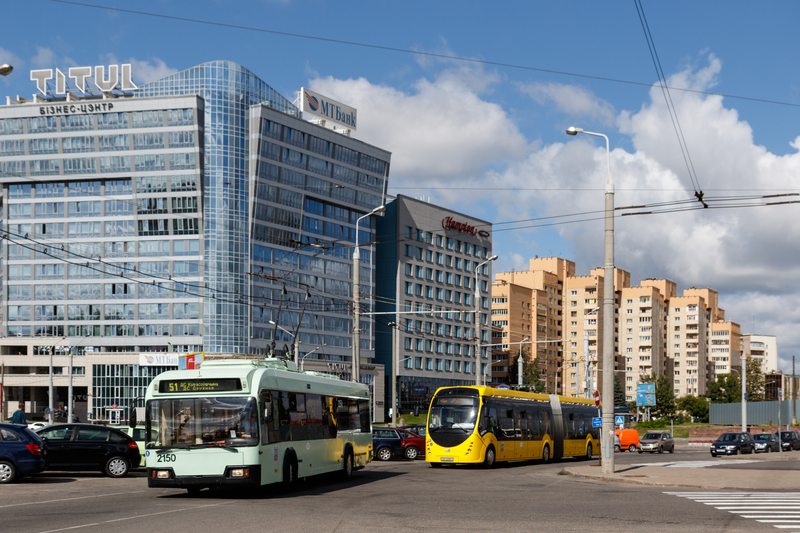 Representatives from the Czech Republic, Ukraine, the Republic of Moldova and Armenia attended the seminar in Minsk to help the Belarusian specialists consider the issue from various angles. However, if another country such as the Czech Republic achieved success in this area in a certain way, this does not mean that exactly the same experience and approach can be applied in Belarus. It is important to prepare the groundwork for the energy service contracts and ESCOs in Belarus. 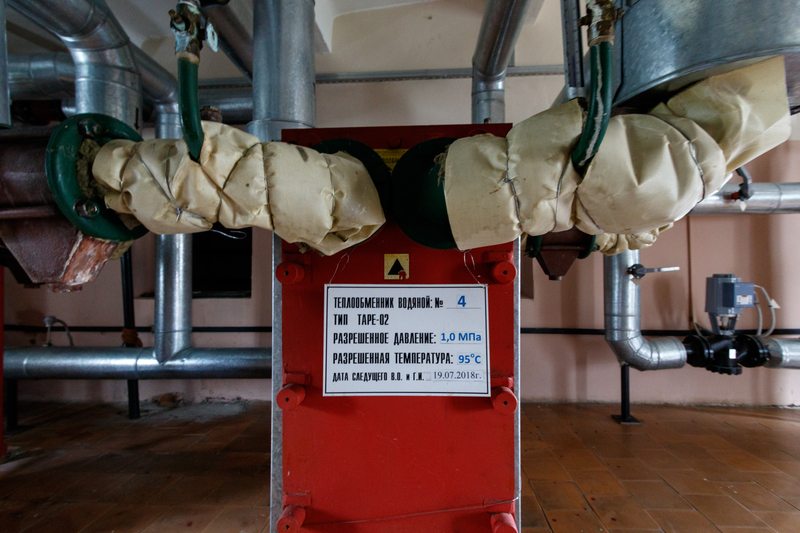 “If a municipality wants to take energy efficiency measures at schools but it does not have the funds for it, then an energy service company comes, which guarantees that after carrying out energy efficiency measures 1,000 roubles (approximately 410 euros) per month will be saved; and they agree that in the course of the next few years the municipality will pay the saved amount [back] according to the ESCO contract,” explains Chobanova. It does not have to be 1,000 roubles. It can for example be 800 and 200 will remain for the school, so the effects of the savings are seen immediately. Experts say that similar energy service contracts can be signed with the state. However, in such cases there should be a clear framework agreement so that all participants clearly understand their roles. The EU is also ready to provide assistance to Belarus within the framework of implementation of the energy services and ESCO contracts. “It is all aimed at the improvement of the country's economy, creation of jobs and increase of competitiveness. This will affect the lives of regular people as well,” says Chobanova. Moldovan expert Nikolae Zakharia believes that in this case, success will come with time; and the fact that they can present their projects in Minsk can already be considered a success. “We are here to show where and how we can save, based on the experiences of various countries. There will never be enough state funds to improve the energy efficiency of all buildings, therefore various models of financing are important. ESCO is a direct alternative of financing energy efficiency measures with private participation. This is a conscious investment with an understanding of its effectiveness. This is not a situation where a contractor comes, glues foam and plastic to the walls and nobody knows how much saving is achieved. In this case, there is a detailed contract and the contractor is paid for the services based on the achieved effect. The consumer pays ESCO only in the event that there are savings, but takes on certain responsibilities as well,” Zakharia explains. It is possible that at first sight ESCO projects seem more expensive than buying goods and services directly, but the point is that the consumer buys the best energy efficiency solution and pays only if the effect was achieved (think of the example with the fridge). As soon as in a few years (each object can of course differ) this is likely to pay off and bring savings. It is not necessary to start implementing new energy efficiency technologies all over the country at once. To start with, a few pilot projects can be implemented and then the conclusions can be drawn. “We are here to present a project which will be in demand, be implemented and not get ‘covered in dust’ on the shelves. 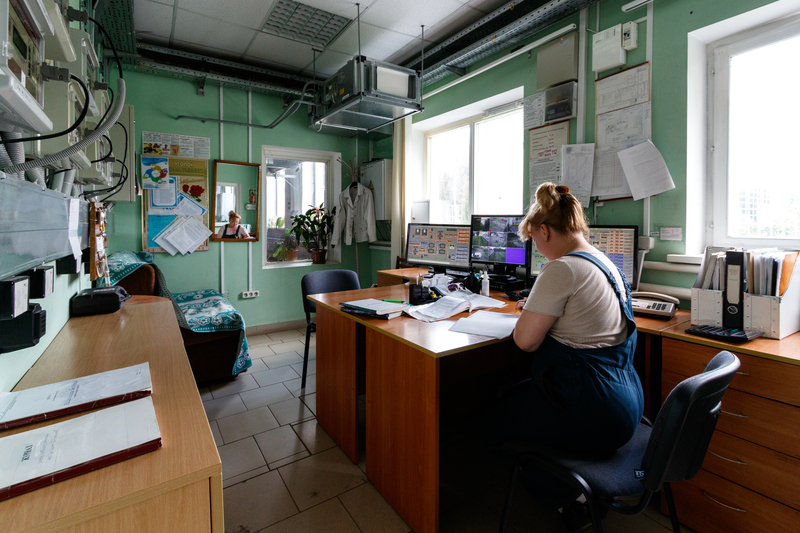 We are here to teach both officials and regular people to work with this,” Chobanova says. For now, the Energy Charter experts are waiting for feedback from the Belarusian authorities. After that, they stand ready to proceed with implementing specific tasks.